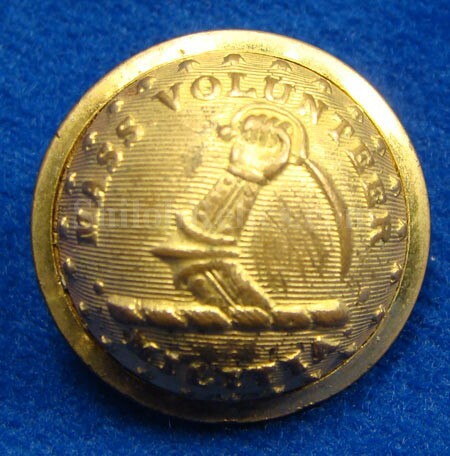 This is a very attractive non-excavated coat size Civil War uniform button for the state of Massachusetts. It has the famous arm and sword design of Massachusetts on the face of the button. 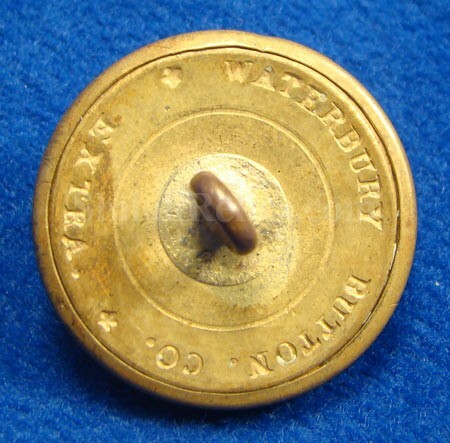 This one has the original back and shank intact with the correct Civil War "WATERBURY BUTTON CO. EXTRA". It has lots of the original gold wash still present down in the recesses and it gives it a wonderful look. This is the pattern listed as MS 35 in Albert’s button book and MS210F3 in Tice’s button book. 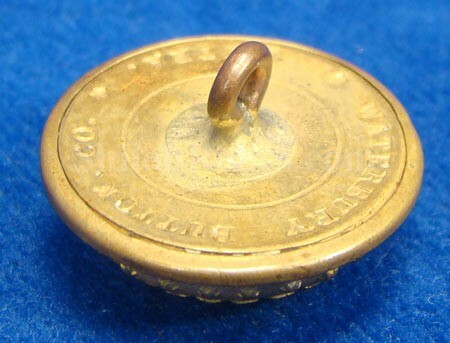 This is a fine non-excavated Civil War Massachusetts Coat Button from the Waterbury Buttons Company.